For health and fitness companies selling to those types of customers, word-of-mouth can be an enormous driver of growth. But just how powerful is it? And what types of results can health and fitness brands expect to see with referral marketing? 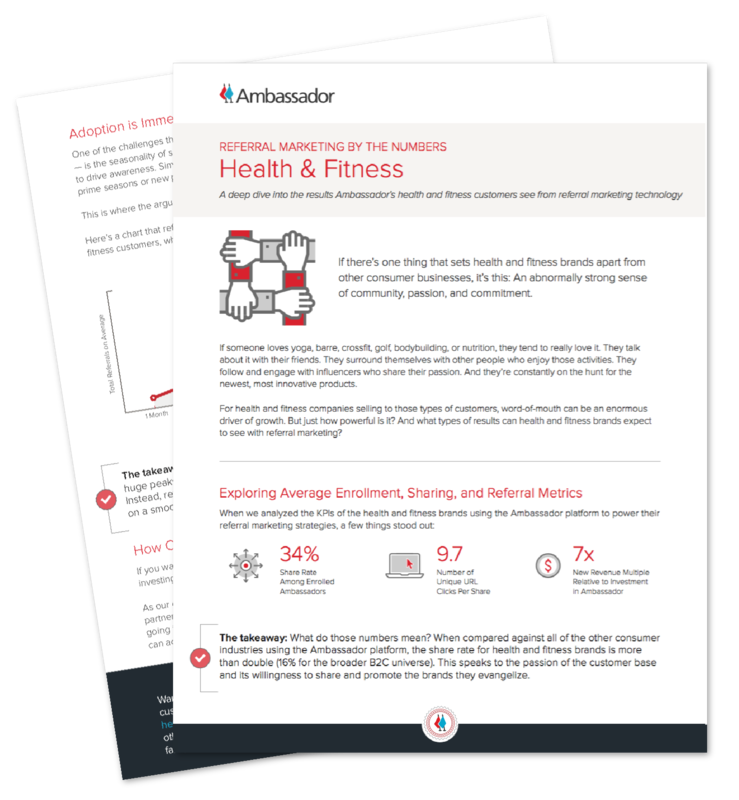 When compared against all of the other consumer industries using the Ambassador platform, the share rate for health and fitness brands is more than double (16% for the broader B2C universe). Pretty convincing, right? We thought so. But we wanted to go deeper. What does referral marketing success actually look like? To answer those questions, we dove into our data and compiled some findings that paint an interesting picture about the best practices that drive referral revenue.